After winning the coin toss, the Atlanta Falcons deferred their decision to the second half. The Los Angeles Rams elected to receive at kickoff and Falcons punter Matt Bosher sent the ball flying from Atlanta’s 35-yard line. Wide receiver Michael Thomas fumbled the ball and went scrambling to retrieve it. Atlanta retrieved the ball and scored a touchdown in the next play. 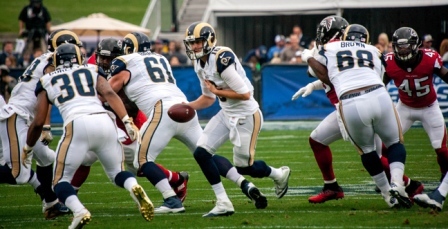 This set the tone for the Rams 14-42 loss against the Atlanta Falcons on Sunday at the Los Angeles Coliseum. Rams quarterback Jared Goff completed 24 of his 41 passes for 235 yards and scored one rushing touchdown. Running back Todd Gurley led the game in rushing with 61 yards and a touchdown carry. Falcons quarterback Matt Ryan completed 18 passes out of 28 attempts for 237 yards. Wide receiver Taylor Gabriel made three catches for 82 yards. 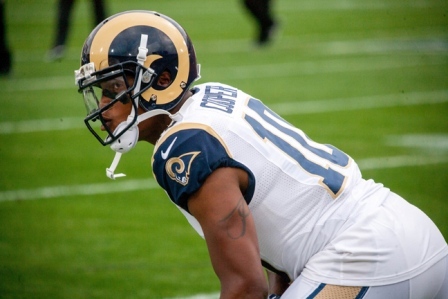 Goff sent several passes to Tavon Austin, some resulting in first downs at best. At worst, Falcons intercepted two catches. One took place deep within Rams’ territory. Linebacker Deion Jones leaped to grab the ball and ran for 33 yards into the end zone, ushering in a seven-point play in the second quarter. That second interception notched up the score to 21 in favor of Atlanta. “We’ve got to play. I don’t care if we’re out the playoffs or not. Just come up, show up, and play. 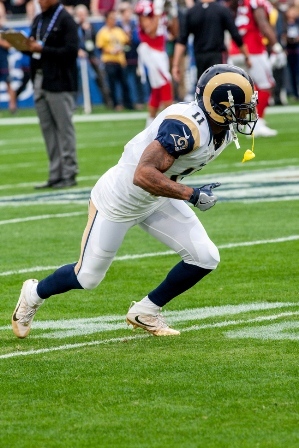 That’s why we play this game – show up and play,” Gurley said. Although the Rams earned more first downs than the Falcons (L.A. had 21 against Atlanta’s 18) and had more rushing yards (104 to Atlanta’s 66), Los Angeles gathered 11 penalties and lost 105 yards. To welcome in the fourth quarter, Gurley ran up the middle for three yards to earn the Rams’ first touchdown of the game. With 2:44 left in regulation, Goff ran in the Rams final touchdown. Los Angeles has a short week as they play an away game against the Seattle Seahawks on Thursday. Fisher mentioned how CenturyLink Field is one of the hardest venues to play in NFL.